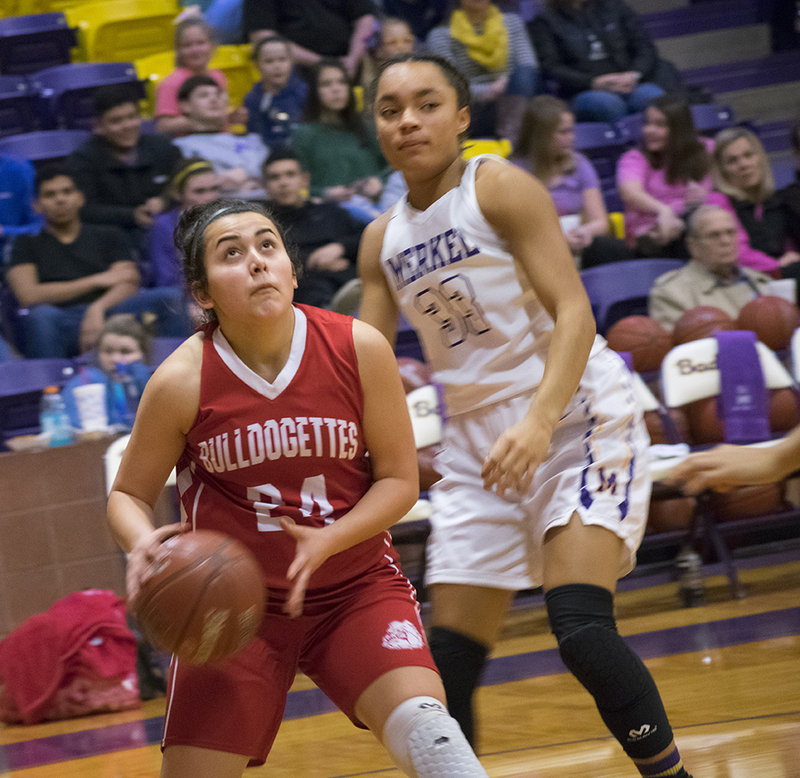 MERKEL — The Bulldogettes lost to the Merkel Lady Badgers Tuesday night in district action. Caitltyn Corley led the Bulldogettes with 9 points followed by Abbie Lopez with 3. The Lady Badgers were effective in keeping control of the ball all four quarters of play. Merkel scored in the double digits while keeping Coahoma to an average of 3 points for the first three quarters. Corley led the Bulldogettes team to their best quarter of play in the fourth. The Coahoma junior racked up two 2-point baskets and 2 points from the charity strip. Teammate Jovi Gonzales nailed a basket to add 2 more to the scoreboard. Next: The Bulldogettes take on the Lady Bulldogs from Clyde at the CES competition gym in Coahoma Friday. Coahoma — Macee Grant 2, Caitlyn Corley 9, Paige Atkins 2, Jovi Gonzales 2, Abbie Lopez 3. MERKEL — Freeman 4, Doan 3, Pursley 19, Salazar 7, Hays 14, Gillbreath 4, O’Malley 12, White 4. Free Throws — Coahoma 4-12 , Merkel 3-10 ; Three-Point Goals — Merkel 8 (Hays 4, Pursley 3, Salazar) Total Fouls — Coahoma 11, Other 17.